Mission is one of our most popular styles. Think simple, beautiful, functional, harmonious, hand crafted, high quality, and durable, and you have a basic understanding of the style. Originating back to the late 19th Century emphasizing simple, clean, horizontal and vertical lines and flat panels that accentuate the grain of the wood (usually oak). 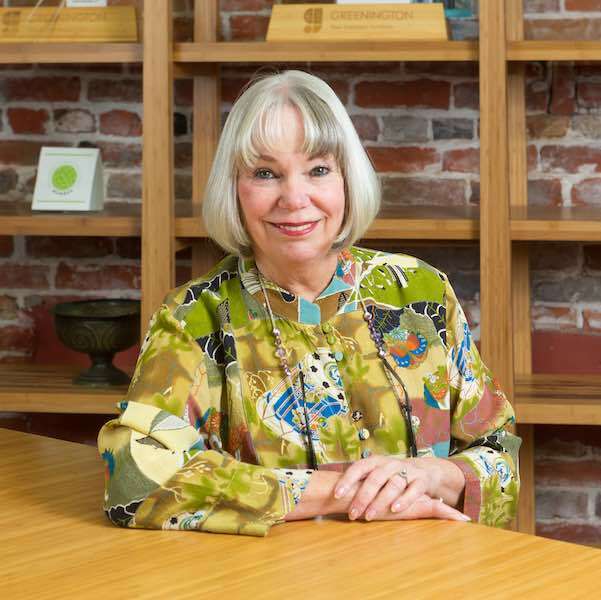 The term Mission is an umbrella term for the architecture, design and decorative arts often associated and used loosely and interchangeably with the terms Craftsman Style and Arts and Crafts Style and the Arts and Crafts Movement. The For Your Home showroom has one of the finest displays of Mission style furnishings for any room or office. Originating in the late 19th Century, Mission traces its origins to a chair made by A.J. Forbes around 1894 for San Francisco's Swedenborgian Church. These organizations are the New Christian churches who understand the Bible in the light of the theological writings of Emanuel Swedenborg. The term Mission furniture was first popularized by Joseph P. McHugh of New York, a furniture manufacturer and retailer who copied these chairs and offered a line of stylistically related furnishings by 1898. The word Mission references the Spanish missions throughout colonial California, though the design of most Mission Style furniture owed little to the original furnishings of these missions. The style became increasingly popular following the Pan-American Exposition in Buffalo in 1901. After the excesses of Victorian times and the influx of mass-produced furniture from the Industrial Revolution, Gustav Stickley, a manufacturer, design leader, publisher and the chief proselytizer for the American Craftsman style, an extension of the British Arts and Crafts movement, began to manufacture furniture. 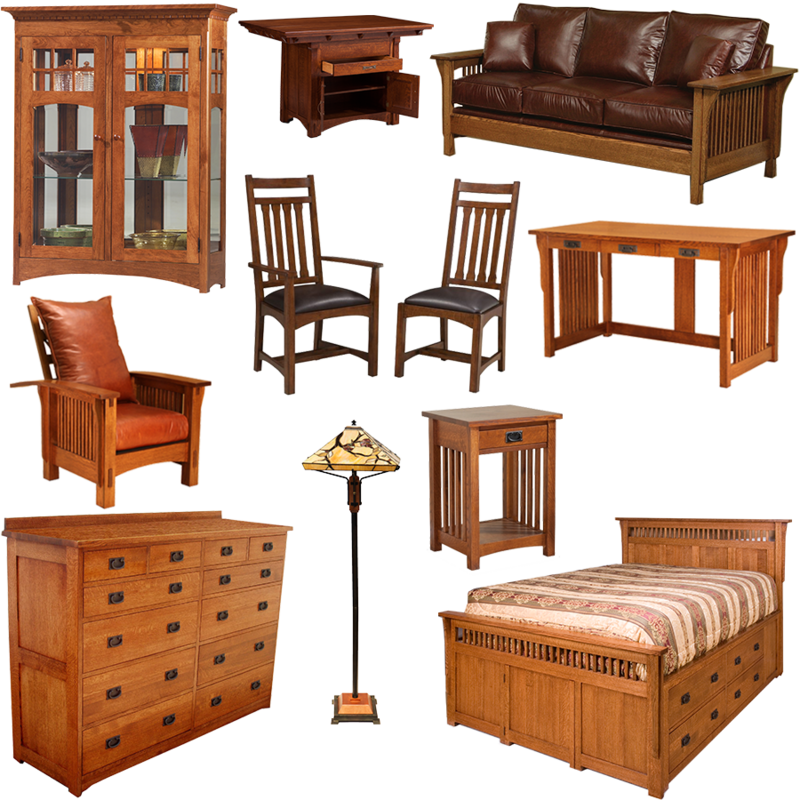 He produced Arts and Crafts furniture often referred to as being in the Mission Style, though Stickley dismissed the term as misleading. This was plain oak furniture that was upright, solid, and suggestive of entirely handcrafted work, though in the case of Stickley and his competitors, was constructed within a factory by both machine and handworking techniques. One of our most popular style lines is Amish-crafted. Amish is high quality, handcrafted solid wood furniture manufactured by Amish craftsmen primarily of Pennsylvania, Indiana, and Ohio. Each piece is lovingly crafted and sanded by hand ensuring heirloom quality on every piece. Available in quarter sawn white oak, oak, soft maple, hard maple, hickory, cherry, and walnut - this in combination with a variety of upholstery options and many color stains, gives you over 100 color and wood choices. But it doesn't stop there, we can adjust or change just about any dimension on all the furniture they create - making the possibilities just about endless. 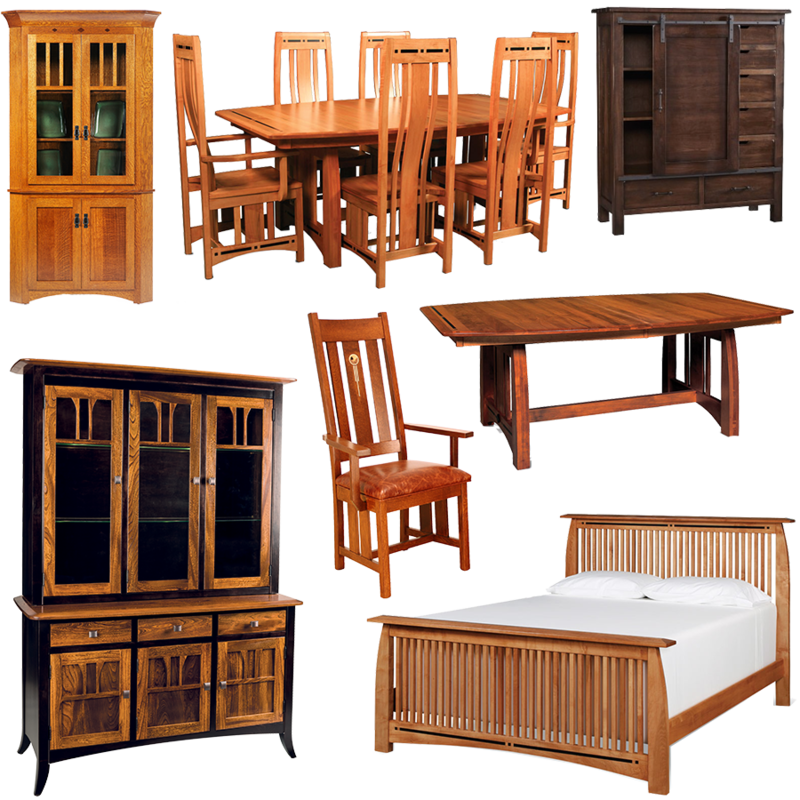 Amish furniture comes in a wide selection of styles from: Mission, Classic, Traditional, Shaker, Country, Contemporary and Transitional, to make your home uniquely yours. For Your Home is an exclusive dealer for Simply Amish®, the nation's premier Amish manufacturer. Amish furniture first gained attention in the 1920s, when early American folk art was "discovered" and dealers and historians placed great value upon the beauty and quality of the pieces. Many different styles of Amish furniture emerged. The Jonestown School began in the late 18th century in Lebanon County, Pennsylvania. The Jonestown School is most widely known for painted blanket chests decorated with flowers on three panels. Another distinctive style of Amish furniture is the Soap Hollow School, developed in Soap Hallow, Pennsylvania. These pieces are often brightly painted in red, gold, and black. Henry Lapp was a furniture maker based in Lancaster County, Pennsylvania, and it is his designs that most closely resemble the furniture we think of today as Amish-made. He was one of the first to abandon the painted, Germanic-style influence in his furniture and opted for an undecorated, plain style, following more the styles of Welsh furniture making of the time. 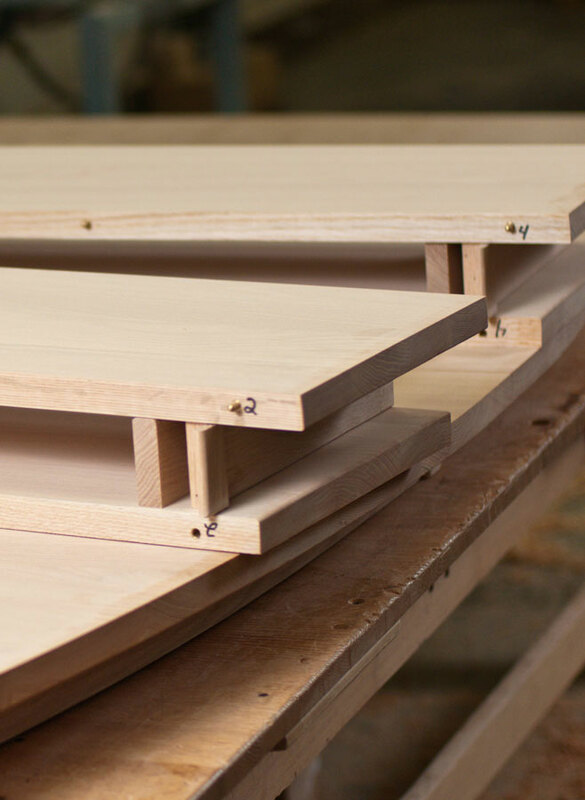 Generally known as being made of 100% wood and usually without particle board or laminate, great attention is paid to the details of the wood in the furniture-making process. Each piece of wood is hand-selected to match the specific furniture in mind. Attention is paid to the grain of the wood, both in gluing pieces together and in achieving the desired look of the finished piece. Amish furniture is also valued for its sustainability and is considered a green product. The Amish woodworkers pride themselves in their work and view their products as both a pieces of art and furnishings to be used and lived in for generations. The styles most often used by the Amish woodworkers are generally more traditional in nature. 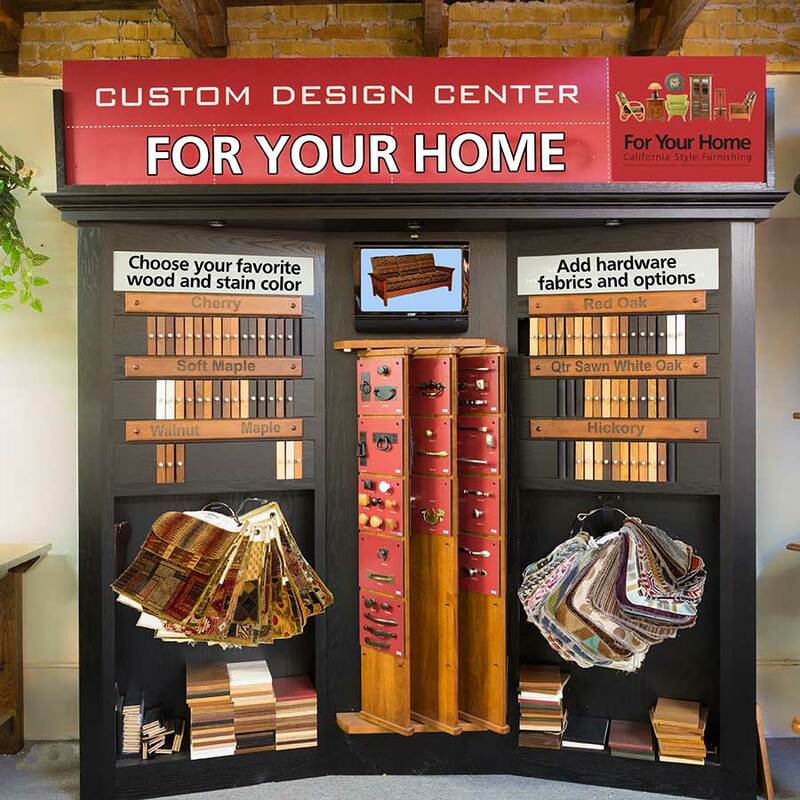 At For Your Home, you will find a variety of Amish choices in our showroom and we are proud to be an exclusive dealer for Simply Amish®, the nation's premier Amish-crafted manufacturer. 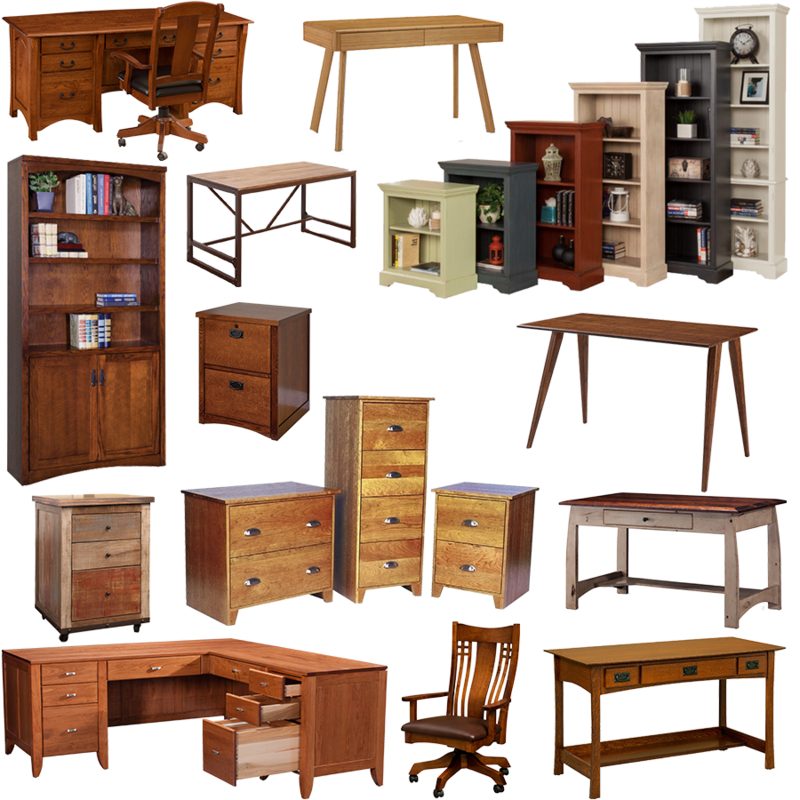 Amish furniture is made in many different styles and share both the Mission and Shaker styles characteristics. Because Amish beliefs prevent the use of electricity, many woodworking tools in Amish shops are powered by hydraulic and pneumatic power that is run on diesel generators. Most communities permit some technology, and allowances can be made in the case of woodworking, as the craft often supports multiple families within the community. 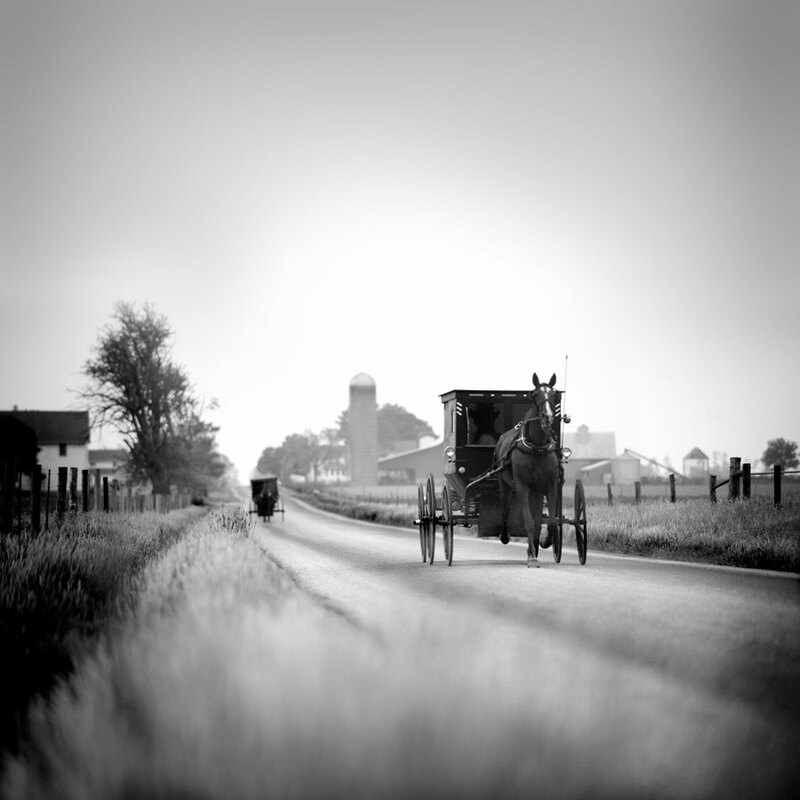 The Amish craftsmen, because of their beliefs, are prohibited from running the websites. For Your Home sales staff often attend Amish furniture expositions to see Amish furniture on display and meet the craftsmen behind the pieces. Close relationships are developed and we have become the conduit between the simple life of the Amish woodworker and today's modern buyer. 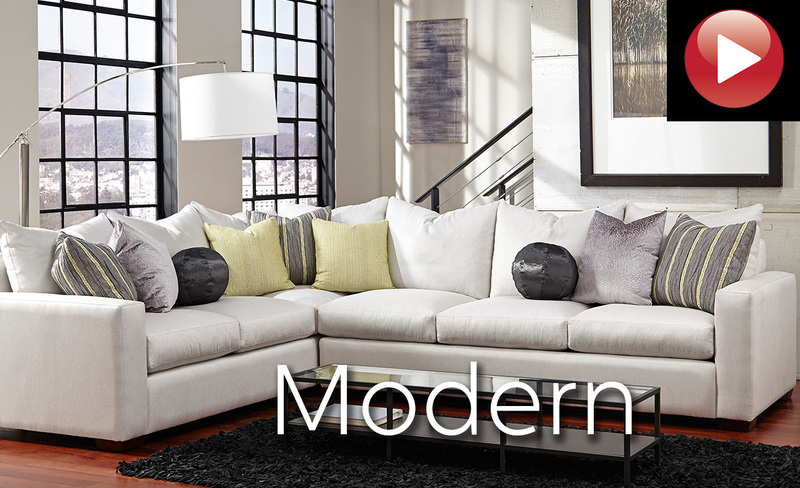 Our fastest-growing furniture segment is Mid-Century. Characterized by simple lines, gentle organic curves, a love for different materials and designs, that even today are perennial favorites. The distinguishing features of this style are a classic, understated look, and clean lines with minimal fuss. Wood pieces, often made of teak, are simply finished to showcase their natural beauty. Mid-Century modern style is a growing trend, but most people don't want to live in a Leave it to Beaver home that looks like a time capsule. Thus, you can now get a retro-inspired look without going overboard. A popular trend is pairing traditional mid-century furniture with clean-lined contemporary furniture. 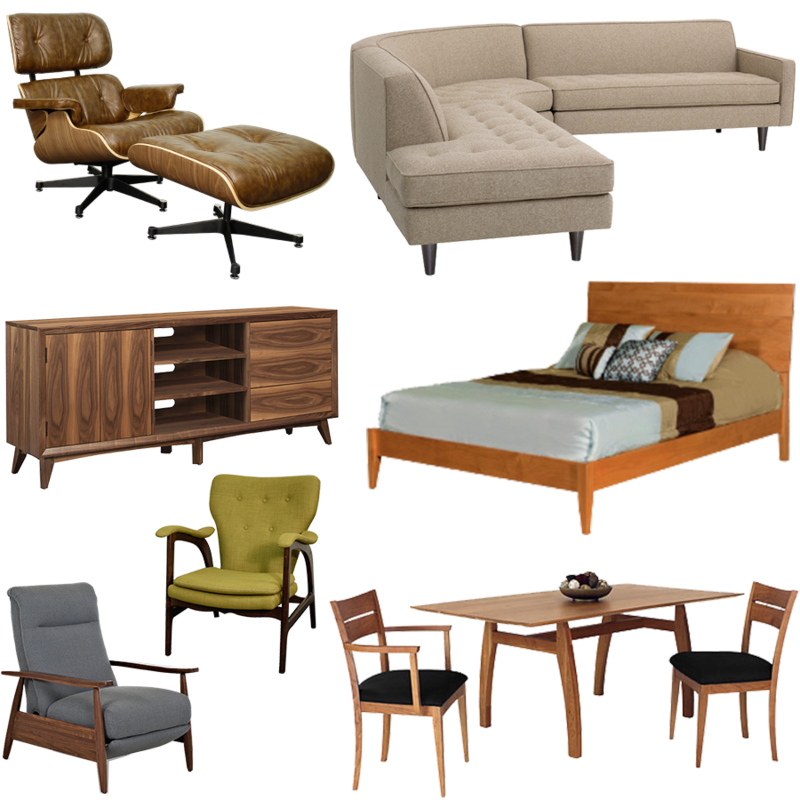 You'll find For Your Home a good destination for Mid-Century furnishings. Mid-Century is an architectural, interior, and product design that generally describes mid-20th century developments in modern design, architecture and urban development from roughly 1933 to 1965. The term, employed as a style descriptor as early as the mid-1950s, was reaffirmed in 1983 by Cara Greenberg in the title of her book, Mid-Century Modern: Furniture of the 1950s (Random House), celebrating the style that is now recognized by scholars and museums worldwide as a significant design movement. 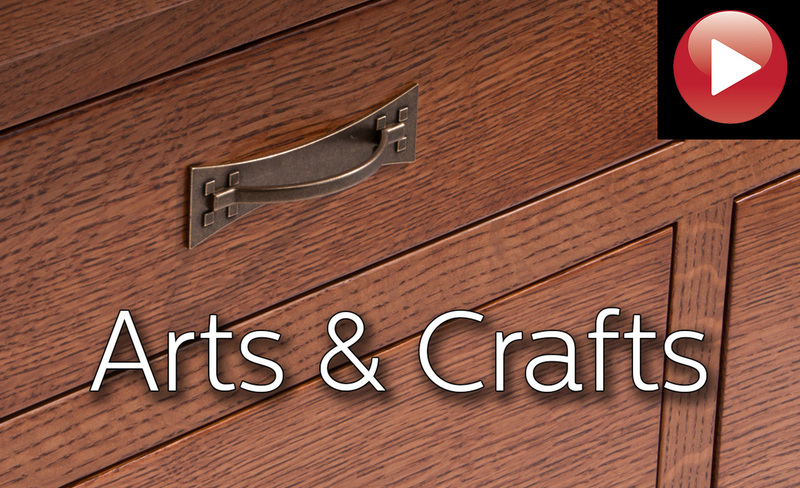 The Arts & Crafts style promotes clean but stylized design and sound structure. 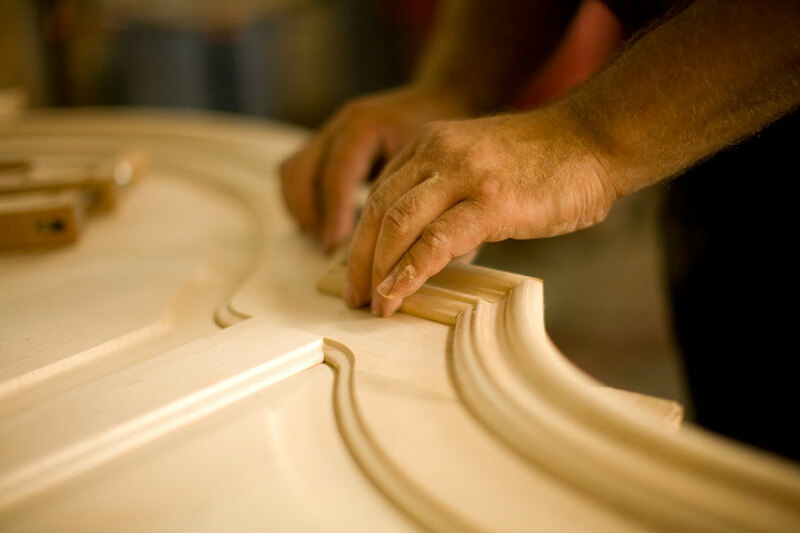 The intentional exposure of carefully crafted joinery is meant to reinforce the beauty of handwork and to underscore the value of labor and process. Such is certainly the case with pieces where much time is spent on the mechanical requirements such as handcrafted long leaves and customized hinges and distinctive drawer pulls. It is observable in the craftsmanship and craft objects that were common in Arts and Crafts homes of the early 20th century such as the popular Green & Greene designed homes which reached the zenith of its production within the first ten years of 20th century. Arts & Crafts style is extremely visible in Craftsman style and Bungalow style homes, particularly in Southern California, but is also evident in cottage and Tudor homes. It can sometimes be more of a philosophy than a style. 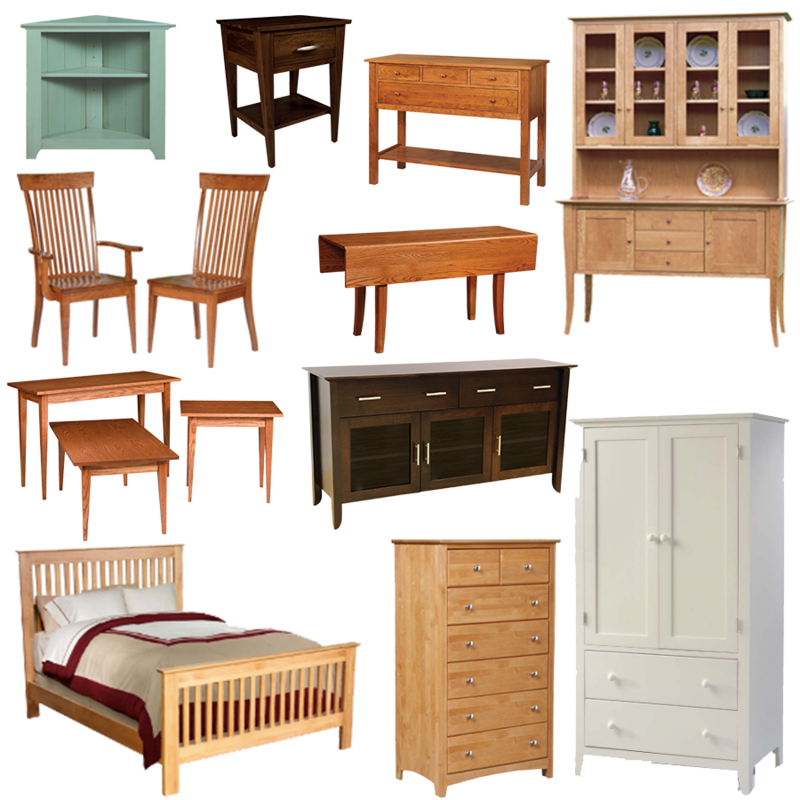 For Your Home features a great collection of Arts & Crafts style furniture. Craftsman style as a descriptive term comes originally from the trade name that Gustav Stickley chose for his line of Arts and Crafts furniture. More broadly, the term designates the popular style of architecture, interior design, and decorative arts that became affordable to middle class homes built in the United States during the Arts and Crafts period between 1900 and 1930. 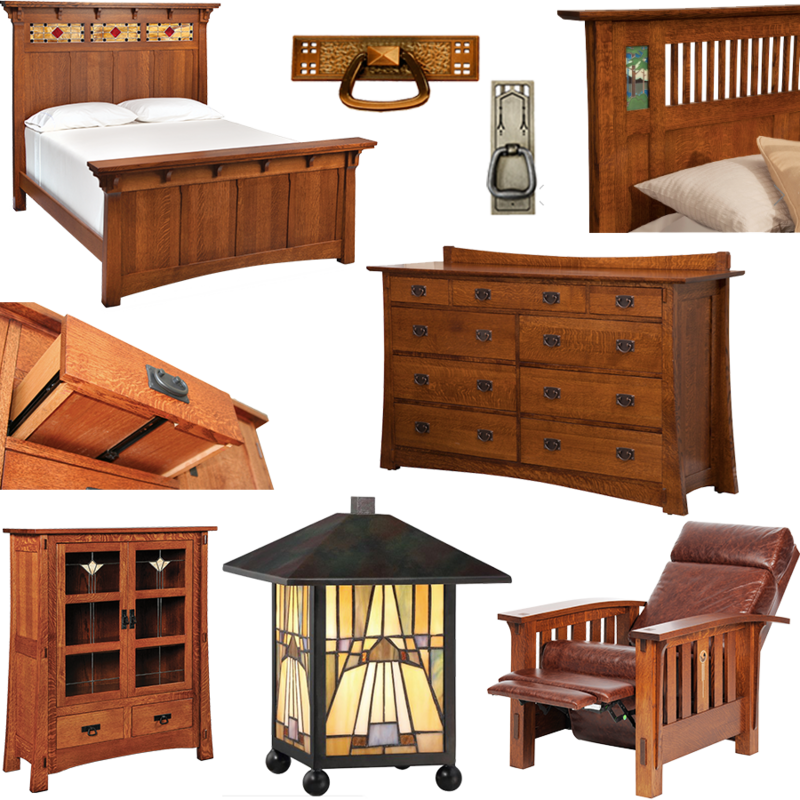 It also includes the lifestyle values of the Arts and Crafts Movement that Stickley promoted in his monthly magazine, The Craftsman. 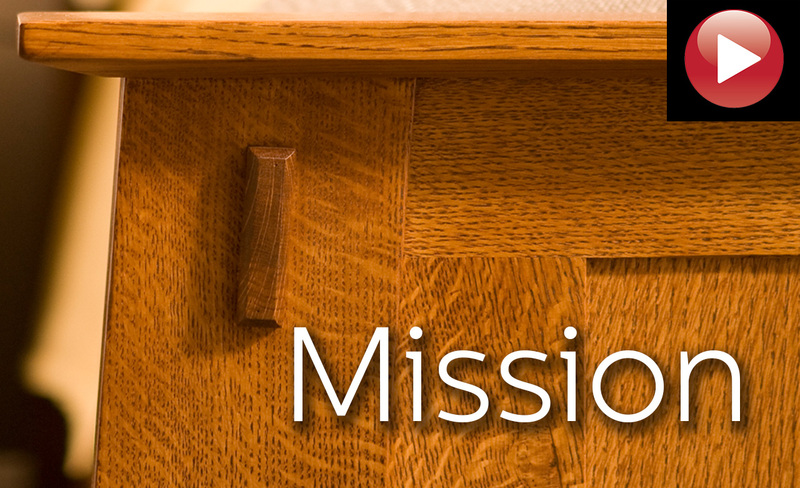 Although Stickley disliked his Craftsman furniture ever being referred to as “Mission”, he recognized the existence of Mission as a style and published articles about it in his magazine. Craftsman and Mission were often mixed and blended together as one style. Craftsman furniture was used in Mission homes and expressed in the popular Mission Revival style. The blending and mixing of these and other styles is explained in the book Craftsman Style by architectural historian Robert Winter and photographer Alexander Vertikoff. A very interesting and rustic example of Craftsman and Mission mix that may intrigue you is Charles Lummis and the Lummis House. He was one flamboyant southwestern American. Glittering simplicity, with fresh open designs that feel "light on their feet"
Modern furniture generally refers to furniture produced from the late 19th century through the present that is influenced by modernism. It was a tremendous departure from all furniture design that had gone before it. Dark or gilded carved wood and richly patterned fabrics gave way to the glittering simplicity and geometry of polished metal. The forms of furniture evolved from visually heavy to visually light. 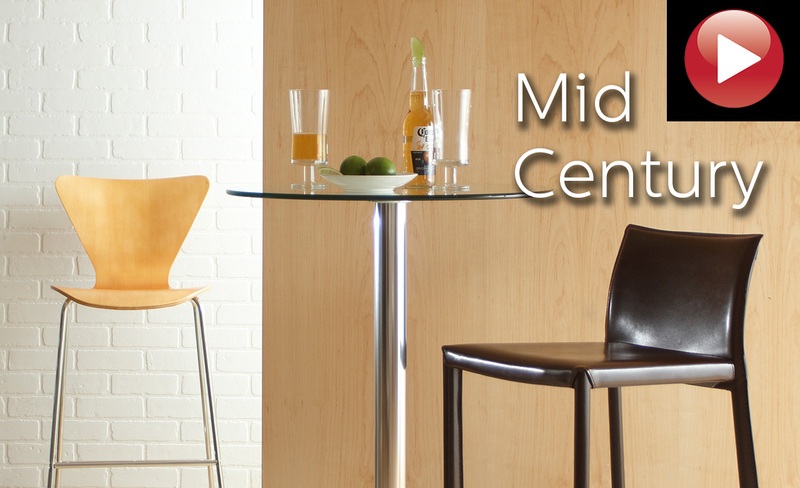 For Your Home can help you find the right choice of Modern style furniture. Prior to the modernist design movement there was an emphasis on furniture as ornament, the length of time a piece took to create was often a measure of its value and desirability. During the first half of the 20th century a new philosophy emerged shifting the emphasis to function and accessibility. Western design generally, whether architectural or design of furniture had for millennia sought to convey an idea of lineage, a connection with tradition and history. The modern movement sought newness, originality, technical innovation, and ultimately the message that it conveyed spoke of the present and the future, rather than of what had gone before it. Modernist design seems to have evolved out of a combination of influences: technically innovative materials and manufacturing methods, the new philosophies that emerged from the Werkbund and the Bauhaus School, from exotic foreign influences, from Art Nouveau and from the tremendous creativity of the artists and designers of that era. Unlike more modern furniture that is standardized, rustic furniture embodies the natural look of real wood by accentuated the real grain variances, knots and other imperfections only created by nature itself, like the feel of the great outdoors and of more simpler times. Rustic style furniture is a piece that is usually hand made and custom built with a more natural look using the rough sawed limbs of trees or simple materials that are readily available in the great outdoors. A more contemporary definition of rustic furniture is any piece of furniture that is handcrafted with authentic materials, such as solid woods, wrought iron and reclaimed objects. True rustic furniture is heavier, solid, and more rugged than regular furniture. Rustic furniture being built of more hearty materials gives it a high level of quality. 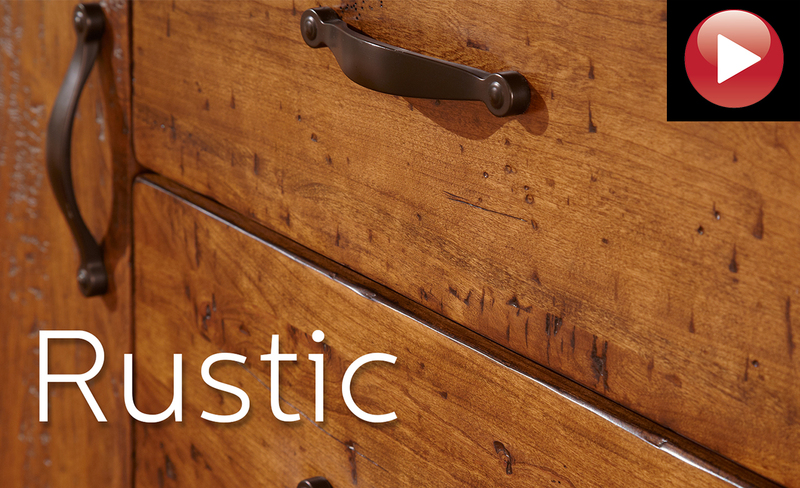 The beauty of rustic comes from the uniqueness of every piece being hand crafted by individual artisans. 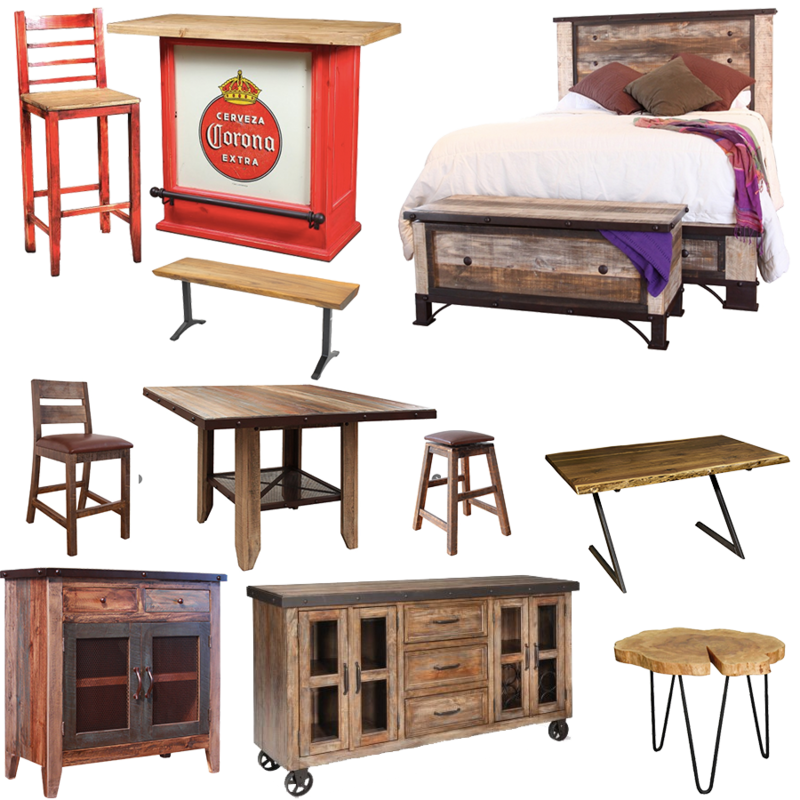 The For Your Home showroom has a wide variety of Rustic furniture on display. Rustic furniture was originally made from whatever natural materials were in greatest supply, and often by poor people as items of trade for food or cash. It is associated with the Great Depression and other hard times in America; however, it is also associated with the Great Camps built by wealthy Americans in the Adirondack Mountains of New York. Various rustic styles reflect the personality of their maker, with techniques such as chip carving, silver or gold brushwork, milk paint, peeled bark and other decorative enhancements. The basic wood used for rustic furniture was usually willow, although many other hard- and softwoods were also used. In the American South, palm fronds were occasionally employed. Historical examples of rustic furniture may be found in museums and antique shops, although fine historical pieces are rare outside a museum setting. One showcase for this style of furniture is the Adirondack Museum in Blue Mountain Lake, New York. Typical items of rustic furniture include chairs, love seats, tables, desks, smoking stands (often with a cabin on top), clocks, chest of drawers, rockers, coat racks, mirror frames and lamps. Widely admired for its simplicity, innovative joinery, quality, and functionality, the furniture-making Shakers had a great design philosophy, "Do not make something unless it is both necessary and useful; but if it is both necessary and useful; do not hesitate to make it beautiful." The idea that ‘less is more' was encapsulated by the Shaker maxims 'beauty rests in utility' and ‘every force evolves a form'. The three P's characterizing the Shakers style - plainness, practicality and pride - and is reflected in the continuing design of Shaker style furniture. At For Your Home, you'll find our selection of Shaker style true to form. Lead by mother Ann lee, who was forced to leave Manchester, England setting sail for New York from Liverpool docks on May 10, 1774 along with her eight followers. She started this movement with this small band of English emigrants. Known derisively as the Shaking Quakers, the Believers (as they called themselves) preached that the path to salvation lay in hard work, abstention from worldly pleasures, and constant prayer. They also practiced celibacy and a cooperative lifestyle, one in which all property was jointly owned. At its height, the Shaker movement included some 6,000 members, living in 19 villages stretching from Maine to Indiana. The furniture-making Shakers have a great design philosophy, Do not make something unless it is both necessary and useful; but if it is both necessary and useful; do not hesitate to make it beautiful. The idea that less is more was encapsulated by the shaker maxims beauty rests in utility and every force evolves a form. As they began making furniture (first for their own use, later for sale), Shaker craftsmen principally followed contemporary Federalist styles, like those of Hepplewhite and Sheraton, with their ideals of symmetry, proportion and balance. But they simplified these neo-classical lines even further, to an almost ascetic degree. Mother Ann Lee, the movement¹s founder, advocated that a piece be made plain and simple...unembellished by any superfluities which add nothing to its goodness or durability. Instead of intricate inlay, elaborate carving or thick veneers, the quality of workmanship, sound materials and a smooth finish became the classic elements of Shaker design. The Shaker communities, as they grew, were forced more and more into interaction with the world in order to ensure some kind of survival. Trade in furniture, brooms, seeds, preserves and other sundries bloomed in the early part of the 19th century, only to be hit 50 years later by the American Civil War. By the mid-to late 19th century the Shaker sect was markedly in decline, with membership falling through a lack of recruits, and the rule of celibacy preventing the creation of a new Shaker generation from within. In retrospect, it can be seen that the Shakers were probably doomed from an early point in their history. Shakers today exists as a name of a style. Enshrined within museums and the auction houses and sold from shops with a designer bent, the vernacular tradition purified by the philosophies of Mother Ann Lee is proving to be increasingly popular once more. Woods varied by region, since craftsmen used inexpensive local timber readily available. Common woods: maple, pine, cherry, walnut, hickory (especially for items that required bent pieces) and poplar (especially for interiors). Legs are delicate and straight: may be square or round, often tapered or with a gentle swelling in the middle. There are either no feet, or extremely simple bracket feet for case pieces; cylindrical, arrow or pear feet for chairs and tables. Furniture is often painted or stained-typically dark red or green, colors that didn't show dirt; yellow and orange were also used. Designed for communal living, many pieces are large: dining tables, chests and sewing tables for two people, but they are often light and compact for portability and easy storage. Tables had drop leaves and legs that unscrewed. Chairs, racks and cupboards were built to be hung on pegs. 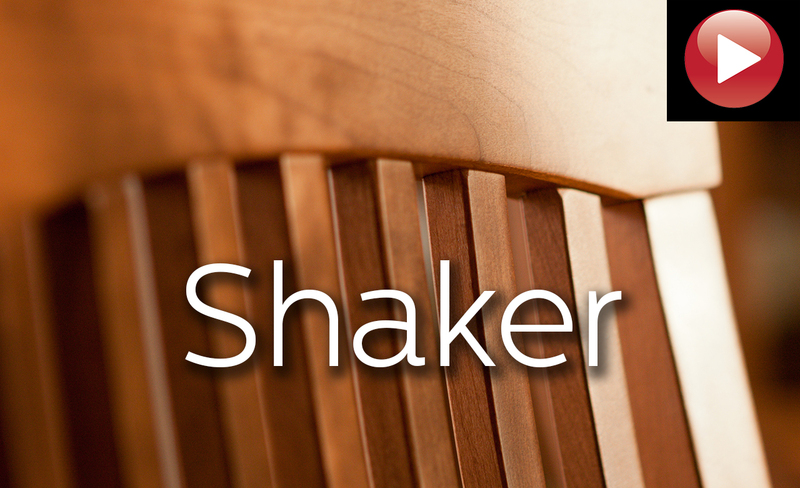 Often, a Shaker work's beauty lies in its ingenuity. The Shaker communities, as they grew, were forced more and more into interaction with 'the world' in order to ensure some kind of survival. Trade in furniture, brooms, seeds, preserves and other sundries bloomed in the early part of the 19th century, only to be hit 50 years later by the American Civil War. By the mid-to late 19th century the Shaker sect was markedly in decline, with membership falling through a lack of recruits, and the rule of celibacy preventing the creation of a new Shaker generation from within. In retrospect, it can be seen that the Shakers were probably doomed from an early point in their history. Naively over money matters and several land transactions of a questionable nature cemented the physical demise of the sect as a practical example of communal egalitarianism. Yet, spiritually, Shakerism is still extant. It can be found in the early Shaker objects, the chairs, the buildings which bear testimony to work carried out in the spirit of common good. These are things crafted by hands steadied with the Shakers' surety of faith in their destiny as the chosen people. 'Shakers' today exists as a name of a style. Enshrined within museums and the auction houses and sold from shops with a designer bent, the vernacular tradition purified by the philosophies of Mother Ann Lee is proving to be increasingly popular once more. Elegant and classic ways to live green with beautiful furniture, made from a fully sustainable resource. More durable than Oak! Modern, fresh and functional, that’s the new sustainable trend. 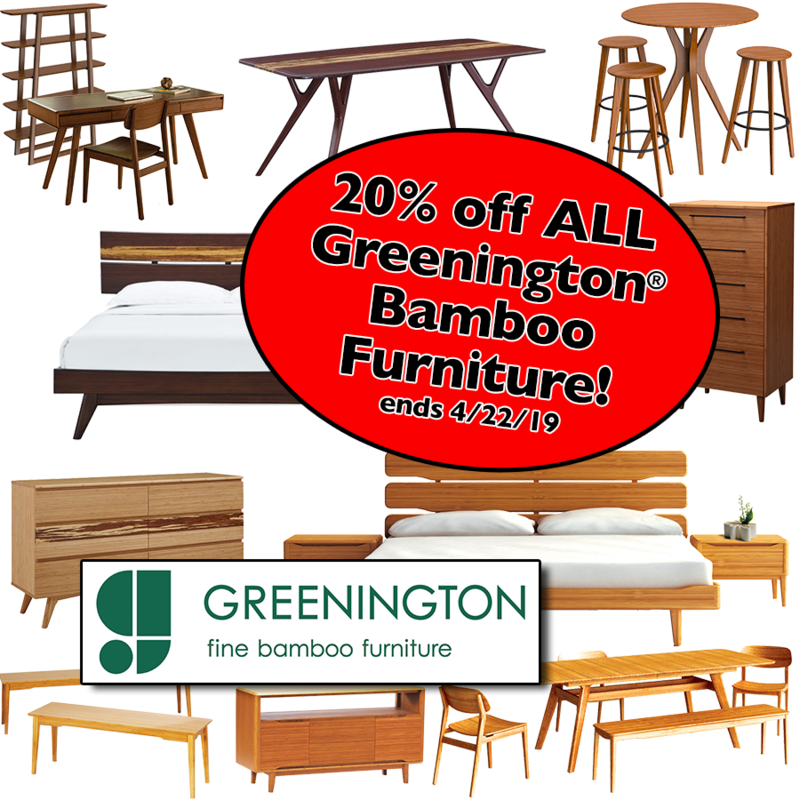 For Your Home proudly features Greenington furniture crafted in 100% solid Bamboo, the planet’s most eco-friendly, rapidly renewable resource. Bamboo is a great choice when compared to hardwood because it grows to maturity in 5 years or less, making it one of the fastest growing and sustainable plants on earth and harder than oak. The Greenington collection is a great choice if you’re looking for innovative design, great value and a smaller carbon footprint. Feel good knowing that you are taking part in helping the planet. Environmentally Sustainable: Bamboo is one of the earth's fastest growing plants, a grass that grows to maturity in 5 years or less. 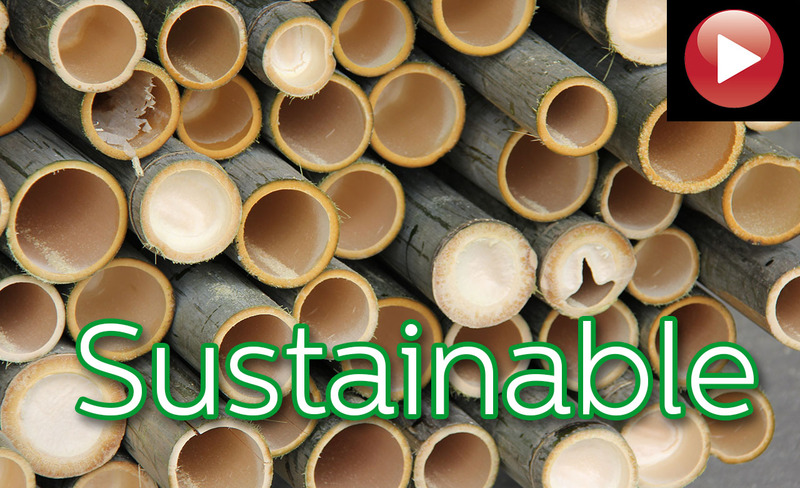 Bamboo is harvested from the managed forests of a fully sustainable, environmentally friendly and rapidly growing renewable resource. Bamboo reduces the atmospheric concentration of carbon dioxide, which is the main contributor to reduce global warming. Bamboo releases about 35% more oxygen than equivalent stands of trees making it one of the best plants on earth to sequester carbon. Bamboo material has been treated and kiln dried to a specific moisture content, then put through special manufacturing process to produce the bamboo materials we feature. The VOC emissions of the adhesive used in manufacturing our products are well below allowable European, US and California standards. Hardness: Greenington furniture uses only mature Moso bamboo that is at least 5 years old ensuring that their furniture possesses strength, hardness and stability. Their Classic bamboo is 20% harder than Oak, and the Exotic bamboo is 100% harder than Red Oak. High Quality: From processing the raw bamboo material into solid stock and panels, they make the final product in their ISO 9000 and ISO 14000 certified factories under tight quality control. Variety of Choices: For Your Home offers a wide selection within the Classic Bamboo Collections, featuring their standard laminated panels in a natural caramelized finish, along with Dark Chocolate, Nutmeg and Dark Walnut stains. For Your Home also offers a truly 'must see to appreciate' experience with their limited collection of unique Exotic bamboo furniture, set apart by its beautiful, richer and darker 'exotic' caramelized finish. Colors: The palette can vary, but it's best to stick with a few neutrals to help tie all the elements together. Furniture: Lines, finishes and materials of the pieces in a room are tied together with paint, fabric or a more refined or roughed-up finish. Fabrics: An eclectic look is partly defined by the multitude of fabrics, whether they be patterned, textured or both. Choose a color scheme and stick with a neutral as your grounding force, and add to it with colored and textured solids and patterns and trims, tassels or fringe. Finishes: A combination of finishes and textures sets an eclectic look apart from the rest. The burnished bronze lamp bases contrast with a black-and-white box but tie in with the golden tones in the ceiling and wall behind. Desks: The trick is to find the configuration that’s right for your space and do it in style. That’s why we feature desks for all sizes and spaces in a wide variety of styles and woods. 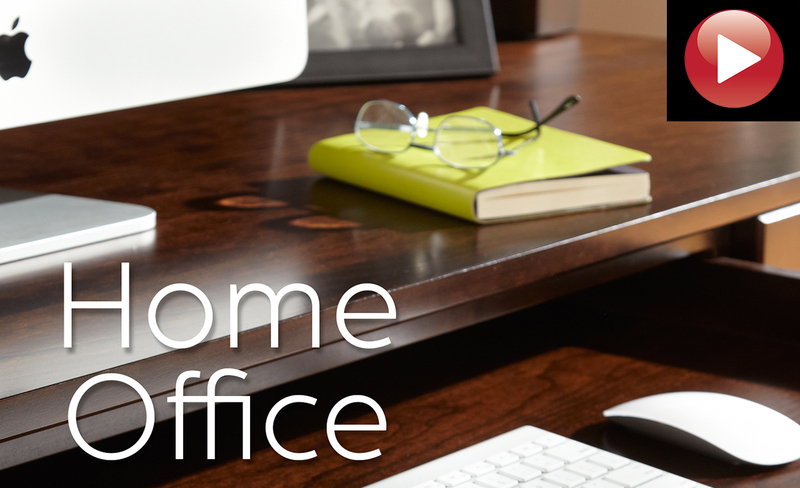 At For Your Home you can design exactly the home office system you need to make work a pleasure. Office Chairs: Comfortable office chairs mean more time concentrating on the job in hand rather than the pain in your back. Our swivel chairs come with features like armrests, height-adjustable seats and tilt functions that your body will love. 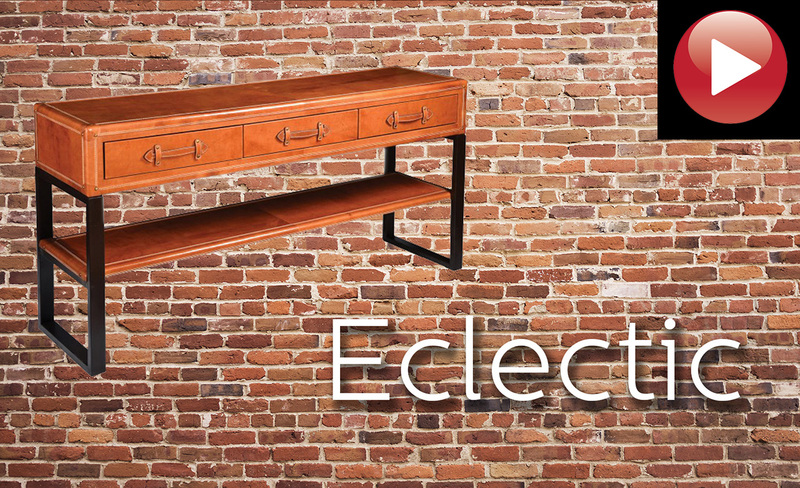 Workspace Storage: Our wall shelves, storage cabinets, drawer units, bookcases and sideboards come in a variety of woods and styles to match your other furniture. With so many choices, you can tidy everyday things away or proudly show off your treasures on open shelves or in glass-door display cabinets. Most have room at the back for cables, so they can hold your personal gadgets while they recharge, too. 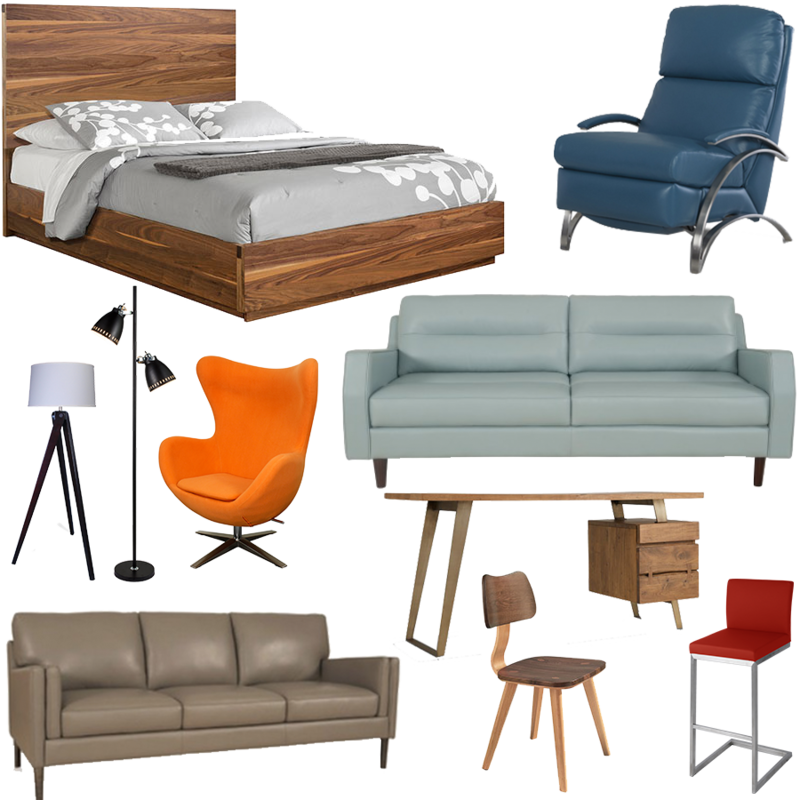 For Your Home hosts one of the best selections of retro style furniture, furniture that belongs to, or has the look of having been made in the decades between the 1950s and the 1960s and is identified by bright colors, chrome trim and gleaming surfaces. 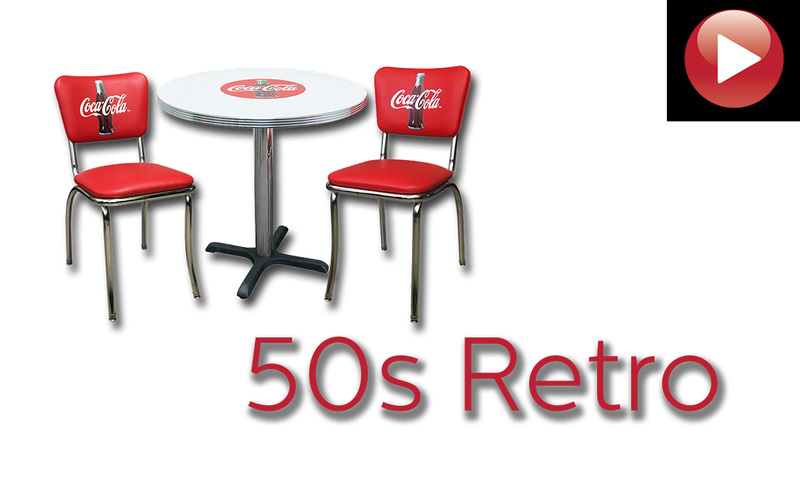 The word retro signifies looking backward, and when we talk of retro furniture, we are speaking of a furniture style that looks back with nostalgia and pays homage to styles that were popular in those decades. Retro style can be whimsical and can allude to pop-culture, and even be kitschy. Furniture from the 1950s shows the influence of modern furniture increasing. Sleek furniture with a slender profile was placed against boldly patterned wallpapers and fabrics. 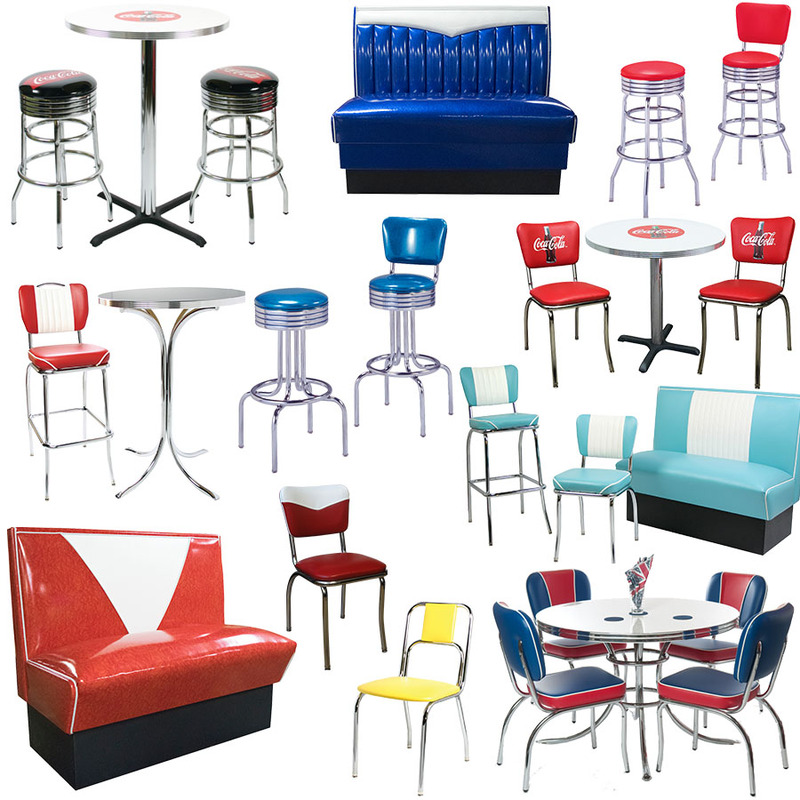 For retro style furniture of the 1950s we are also beholden to furniture from diners with Formica-topped tables, and chrome bar stools. The next decade, the 1960s was more playful, with psychedelic patterns and splashes of color. Low coffee tables and sideboards were still popular, but you also saw furniture like one-piece molded or blow-up chairs. The 1970s saw furniture losing its sleek quality and becoming a bit more bulky and chunky. Avocado Greens and Harvest Golds, oranges and earthy browns dominated. Getting a good nights sleep or adding sleep space to your home or apartment, you'll find many options in our sleep center. Here are a few choices. Any room that houses a conventional bed is always abundant with space, but not everyone has enough space when company calls. Consider a cabinet bed. It serves both as a regular storage space when folded neatly in your living room or apartment. And when it’s time to turn in, you get a bed that is both comfortable and space-friendly and folds in and out in seconds. Best places for a cabinet bed? You may not always notice it, but even small homes have unused spaces. 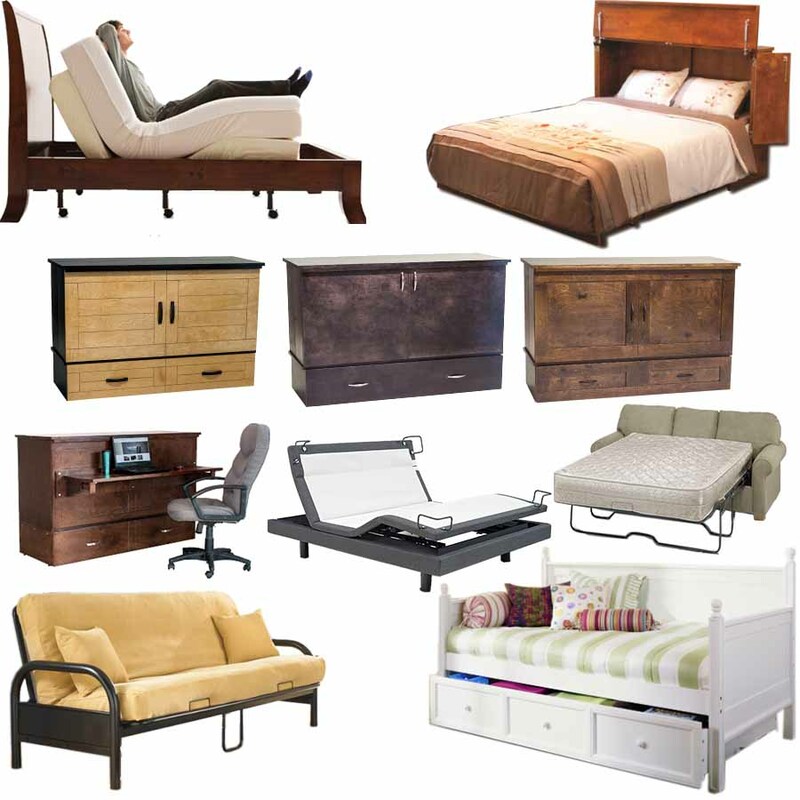 Consider placing the cabinet bed in a hallway, home office, living room or den. You'll find the perfect cabinet bed at FOR YOUR HOME. A cross between chaise longue, couch and a bed, day beds are used as beds as well as for lounging, reclining and seating in common rooms. Their frames can be made out of wood, metal or a combination of wood and metal. Day beds typically feature a back and sides and come in twin size. Often day beds will also feature a trundle to expand sleeping capacity. Many of today’s day beds employ a linkspring as the support system for the mattress. The linkspring is a rectangular metal frame with cross supports. The linkspring design provides support and creates clearance underneath a day bed for storage. FOR YOUR HOME can put you in the perfect day bed for your home. An adjustable bed is a bed which has a multi-hinged lying surface which can be profiled to a number of different positions. Common adjustments include inclining the upper body and raising the lower body independently of each other. Other common features include height adjustment and tilting the bed to raise the upper body or the lower body into the Trendelenburg or reverse Trendelenburg positions. The market for motorized adjustable bed bases has expaned significanly as the mattress industry has begun to heavily promote them to consumers as a comfort and lifestyle choice. FOR YOUR HOME is your place for a new adjustable bed. Leonard C. Bailey took out a patent for making the first "folding bed" on 18 July 1899. The metal bed frame was capable of being folded, bent mattress closed for use if needed. Later, it was known as a "hide-a-bed". William Lawrence Murphy took out a patent for making "In-A-Dor bed", which is known as a “Murphy bed” today. It is characterized with the folded space-saver into a wall-closet. In 1931, Bernard Castro made and sold the "Castro convertible" by using $400 from his savings. Castro’s design is considered to be the evolution of most sofa beds sold nowadays. After mimicking the Japanese founders, the futon appeared in the United States around 1980. 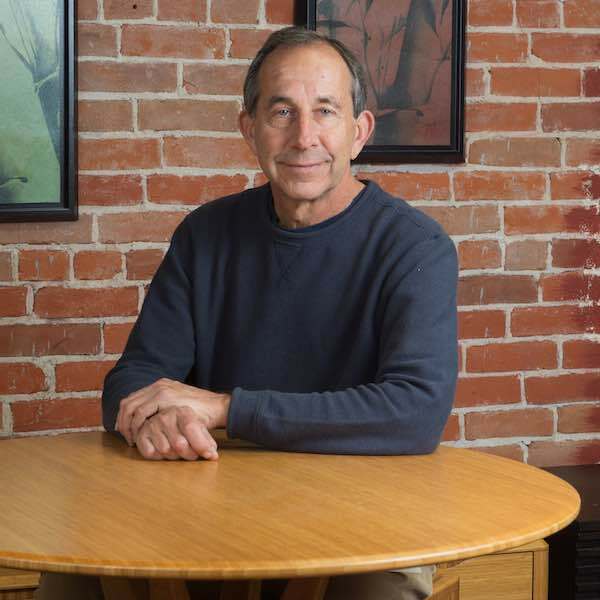 William Brouwer is the person who evolved the first sofa convertible frame style in the United States. Today, sofa sleepers or sofa beds are luxurious and comfortable for both couch user and sleeper. With a wide variety of brands, fabrics and sizes, FOR YOUR HOME has just what your'e looking for. 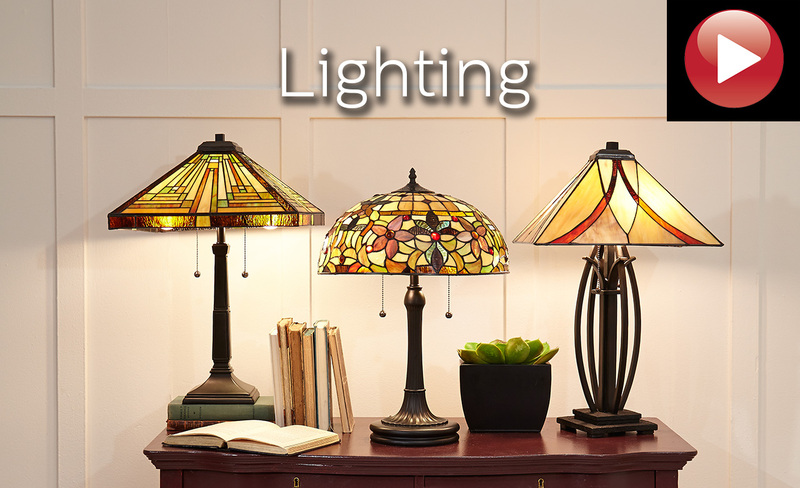 Home lighting is one of the most essential elements in the decoration of your home. Lighting fixtures illuminate our treasured objects and highlights our favorite colors, as well as affects our mood, performance, and mental health. 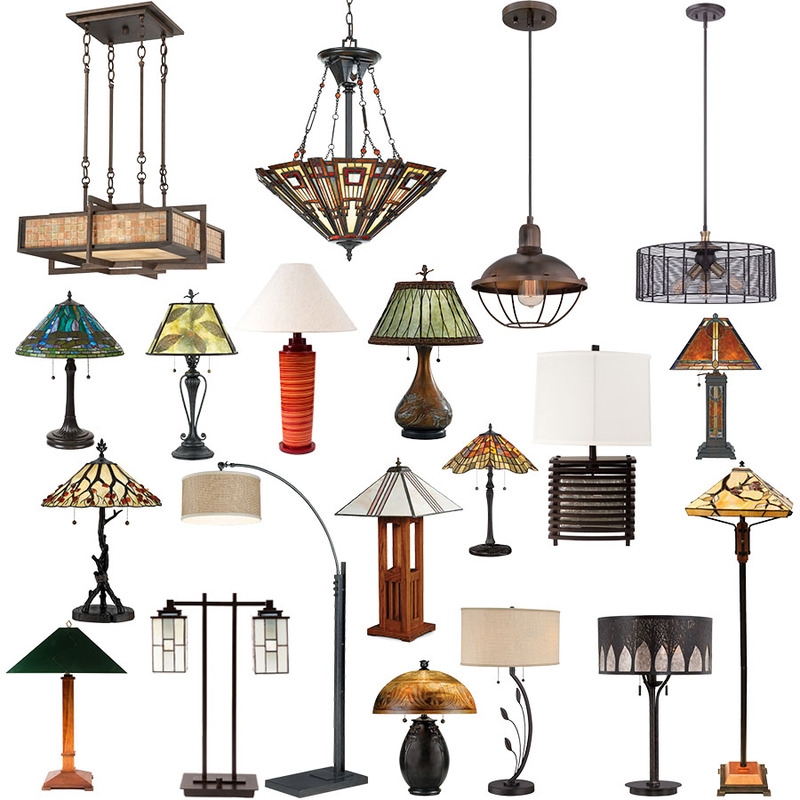 Many homes are gloomy simply because they don't have enough lighting fixtures. Even a house with lots of windows cannot guarantee sunny weather. But with tasteful lighting, properly arranged, your rooms can shine brightly. Balance plays an important part in the lighting of the home. There are three types of lighting - general, task, and accent, and all three sources must work in harmony, with one not dominating at the expense of the other two. The combined lighting effect should provide the most evenly balanced light and maximum versatility for different purposes, such as lighting for conversation, reading or accenting a collection of favorite objects. Make lighting fixtures a high priority in the decoration of your house. For Your Home is the right source for innovative, attractive, practical and economically viable lighting solutions. We understand the role of lighting in interior design and have the experience and knowledge to help you light and enhance your home. Nothing can improve the way a room looks as quickly. 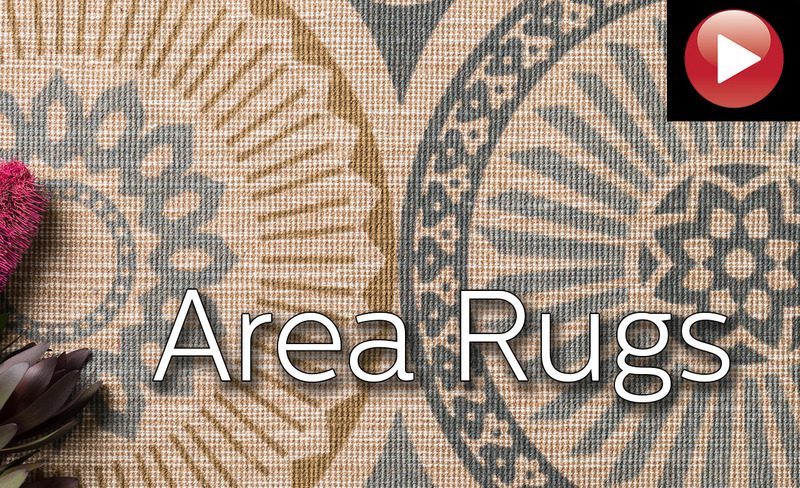 Rugs have a history rooted in ancient times. It is impossible to say exactly when the art of rug making began, but there are pictorial evidence of the weaver's art going back at least 3,000 years. Thanks to new constructions and fibers, the rug world has changed entirely offering you a more fashionable and affordable product. 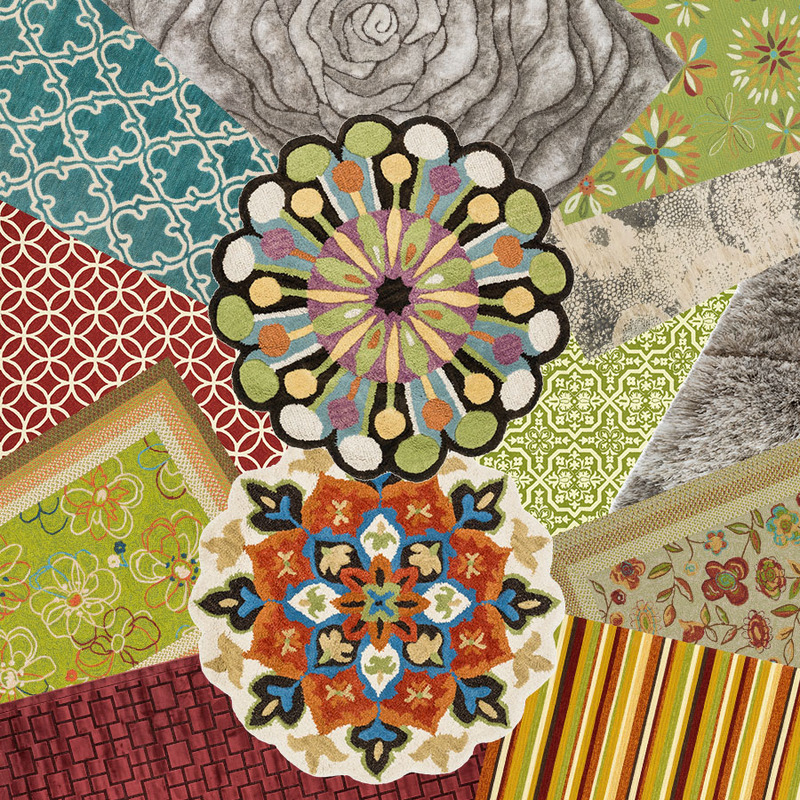 For Your Home can help you understand today’s rugs in an easy-to-browse, visual way. Looking for a quality area rug? For Your Home has you covered. Many of the techniques have changed very little in all this time. Weavers still use wool as the primary material, although silk is common in Chinese rugs. And the process still involves a skilled weaver sitting at a loom, knotting the rug by hand. Two types of knots are traditionally used in weaving. The single Senneh knot is generally found in eastern rug weaving countries, while the double Ghiordes knot is used in western regions. Either style allows weavers to create the intricate patterns that give oriental rugs their beauty and exceptional durability. Today, many rugs are made by machine or by hand-tufting. When made of high-quality materials, they look and feel very much like hand-knotted rugs. The main benefit is that they are more affordable. Over the centuries, each rug weaving area has developed motifs that are typical of the people of that region. For example, the Herati, a small round rosette surrounded by feathery leaves, probably originated in the town of Herat in northwest Afghanistan. It symbolizes the small fish that come to swim in the moon's reflection. The paisley design often found in neckties originated in Persia as the boteh design. Some think the boteh came to Persia from the ancient Egyptian symbol for wheat, which symbolized immortality. Likewise, regions come to be associated with certain color schemes, like the sky-blue color found in the rugs of Qum which is said to be inspired by the blue rooftops of the holy city. Rugs have served many purposes over the centuries, from the mundane to the religious. But that is part of their magic -- that this one art form can serve so many purposes. Perhaps that is why they have cast so strong a spell over people. 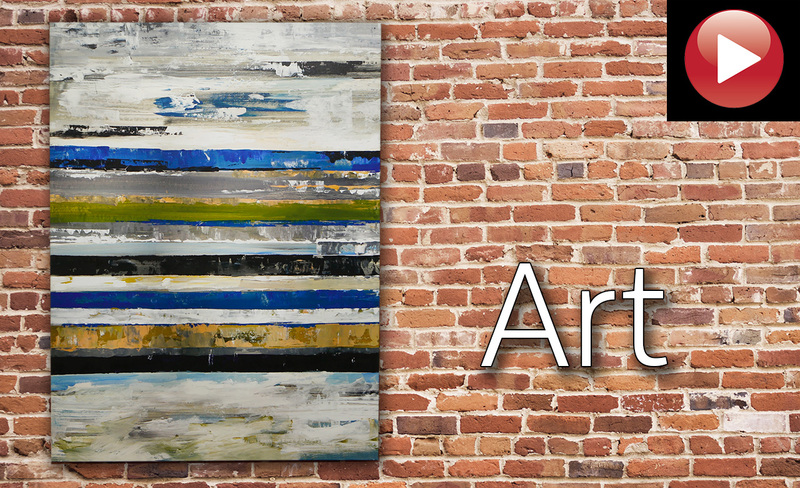 Add some pizzaz and color to your wall space with original art. It's undeniable that artwork can add so much life and personality to your home. Adding art to your living space is a great way to let your personality shine through — and the best part is that you don't even have to be artistic to pull it off! 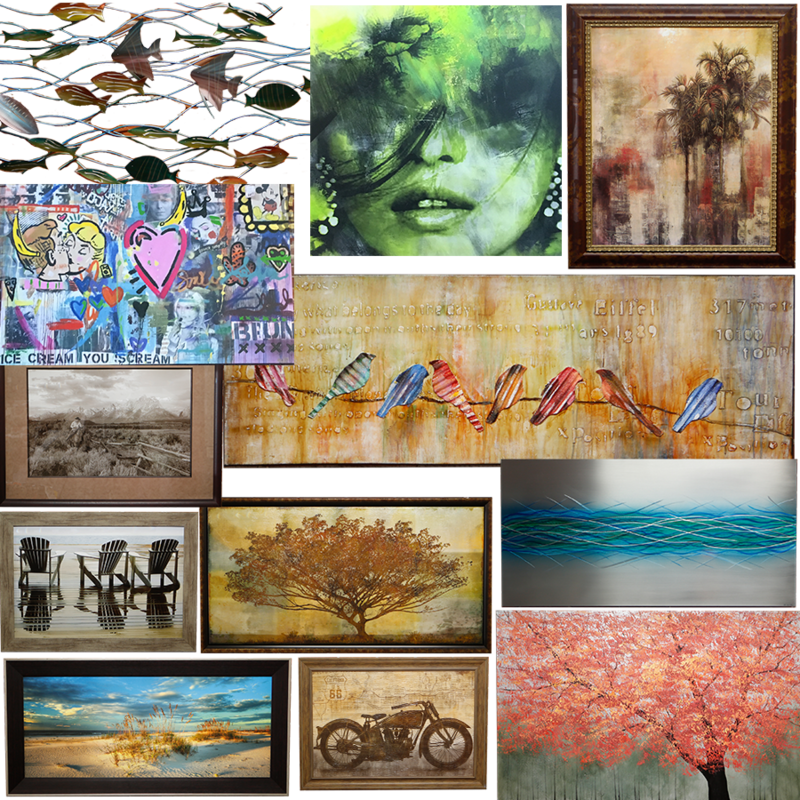 For Your Home has a unique selection of art and accent pieces from a number of artists that will add variety and an eclectic, personal look...and you can do it on any budget. From metal, wood and glass to water color, oils and photography, For Your Home has the perfect piece for your home or office. Home accents make any room interesting. 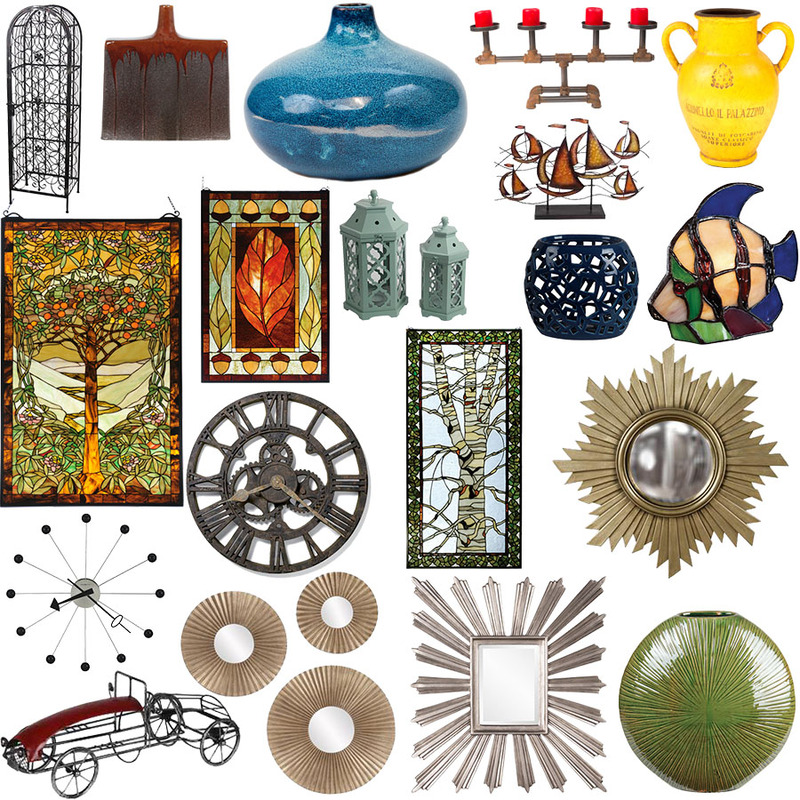 Choose a ceramic, metal or wood piece to update any room. 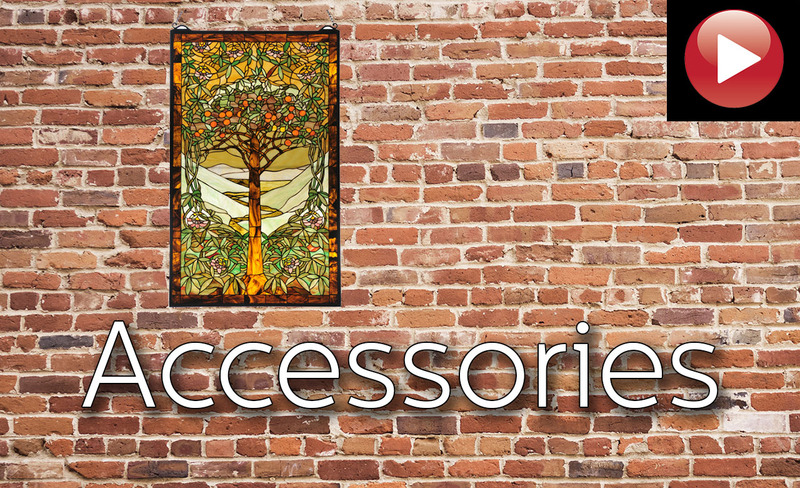 Many people stop decorating before dealing with the most important part: accessorizing. Dressers, bookshelves, and mantles all become more beautiful with a bit of attention. Dress up your dresser! Candles in reflective glass add a romantic glow. Pretty boxes and baskets keep trinkets and treats out of sight. Unless you have a library, don’t fill your bookshelves entirely with books. Instead, break the books up with interesting items. For Your Home has a large selection of accent pieces that can be a subtle but effective way to update your room’s look. For Your Home features high quality, handcrafted solid wood furniture made by some of America's finest names in furniture. 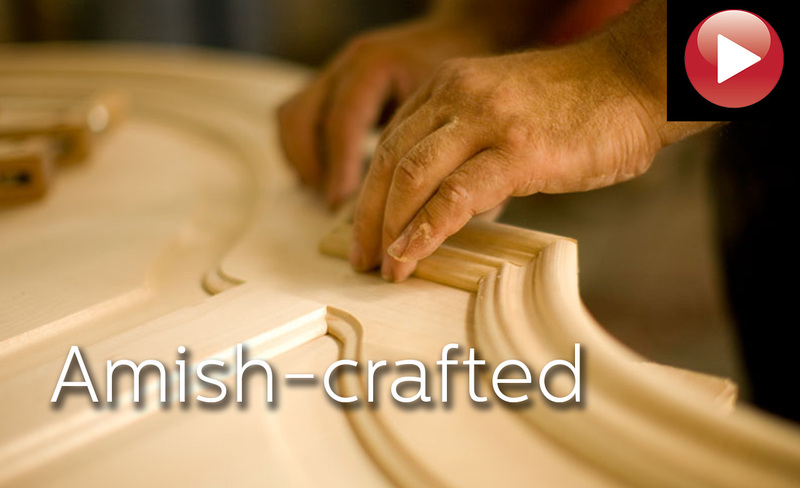 Many of our Amish-crafted pieces are lovingly crafted and sanded by hand ensuring an heirloom quality in every piece. We feature and abundance of high quality fabrics and leathers in a generous selection of colors and materials. 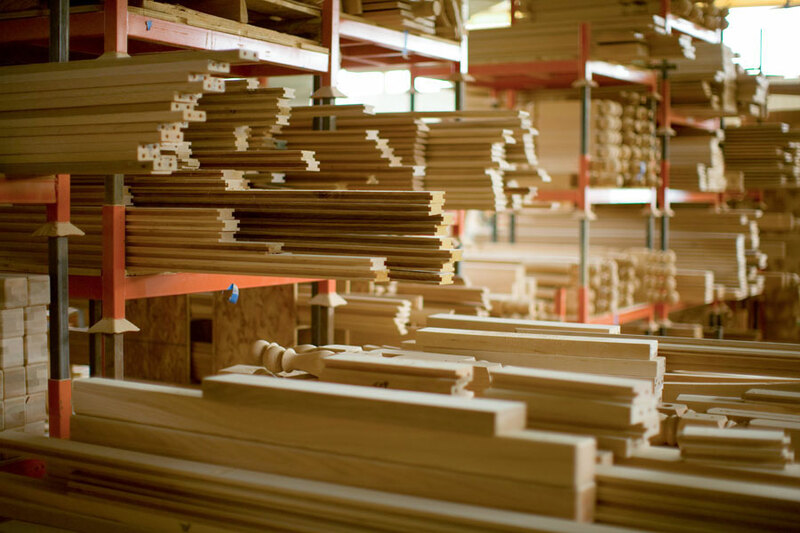 Many of our items are available in a variety of woods such as Quarter Sawn Oak, Maple, Hickory, Cherry, Alder and Walnut. You can combine this with multiple stains and finishes then put the final touches from a wide selection of hardware. But it doesn't stop there. You can adjust or change dimensions and even alter the design, making your possibilities just about endless. Because everyone has their own unique home and style, For Your Home makes available a wide selection of styles from: Mission, Classic, Traditional, Shaker, Country, Contemporary, and Transitional, making your home uniquely yours. Back in 1974, when waterbeds were trendy and cool, Brian Seelos was a partner in a Pasadena firm making quality products for that market. But he'd always wanted to live near the sea and, after falling for the charms of Ventura, moved here. Soon after, he decided to open a store and recruited his younger brother Kevin to join the adventure. He'd found a great location on Main Street, with two huge floors, skylights and a rustic, historic feel. And that's where Dreamweaver Waterbeds, as it was originally called, opened its doors. 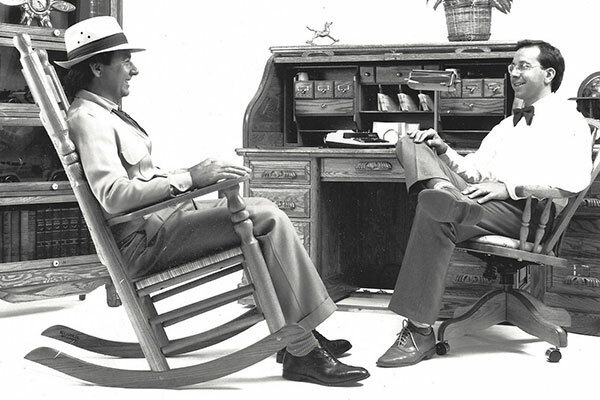 Now 40 years later, For Your Home has become a go-to place for finding unique, high-quality furniture and accessories, much of it made in America. We cover a wide range of styles popular in California and have decades-long relationships with top providers. Top interior designers and discerning buyers know they can rely on For Your Home for superior products and the expert personal service you just can't find in a chain store. One customer, struggling to describe our store to a friend, put it this way, "They're like a boutique with all kinds of beautiful, unusual, carefully selected items. But they're huge. So I guess that makes them a gigantique." Kevin has managed For Your Home since 1976. Now as owner, he's relaxing at a Mimosa Currant Bamboo Pub Table by Greenington®. 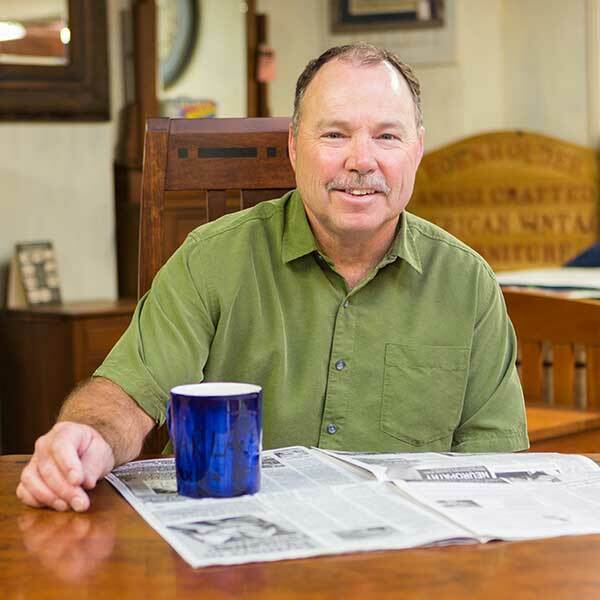 Rod chose this Simply Amish® Aspen dining table set to relax with his morning paper. He's been with For Your Home since 1994. Marla loves this Greenington® dining table for its sustainability, sleek look and durability. She's been a mainstay at For Your Home since 1993. Kris relaxes in this Coachman® Aristocrat leather chair. 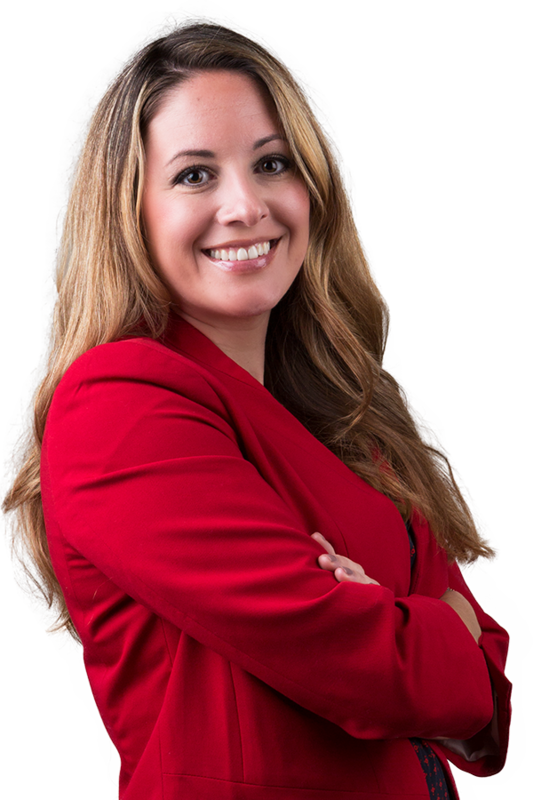 Kris has been with the FYH team since 2016 and brings over 15 years experience with her. FOR YOUR HOME is Southern California's best kept secret! "As the period designer for the Pierpont Inn, I needed to purchase a wide variety of historically appropriate furniture in diverse styles. 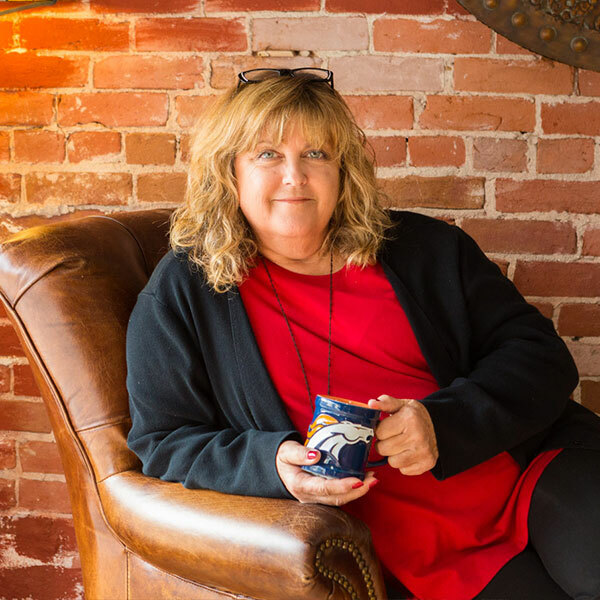 With their vast catalogs and huge showroom, For Your Home proved to be a great resourc., I found everything and so much more from that one store in downtown Ventura. For everything from contemporary to period-inspired pieces, it's amazing how they can cover so many bases. 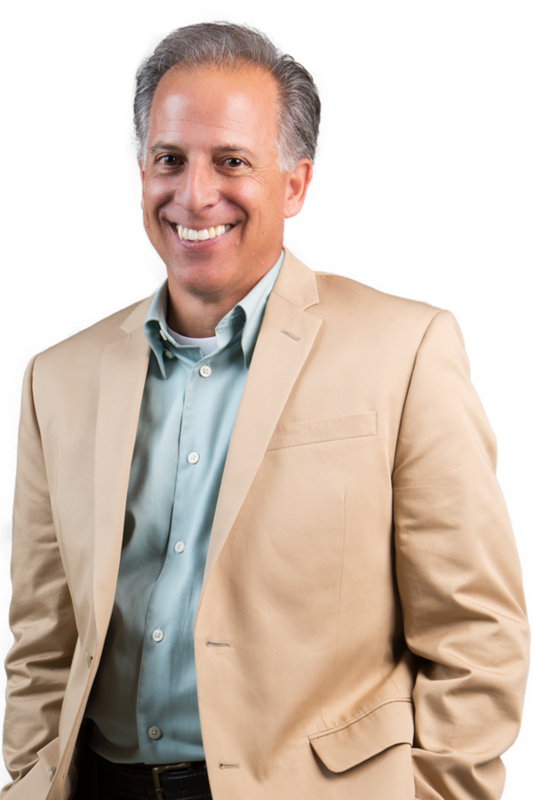 And I can't say enough about their staff, who are knowledgeable and easy to work with." 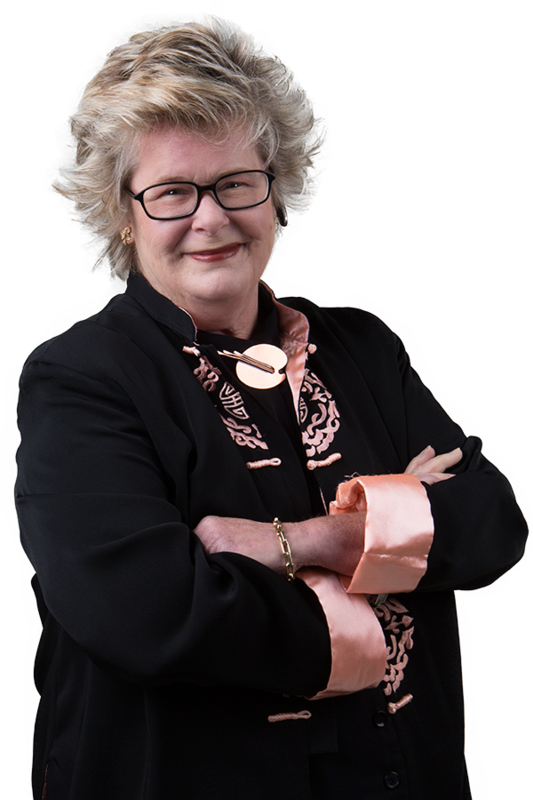 "When I shop locally for my clients, I always start at For Your Home. With two large floors and over 16,000 square feet on display and quality American made furniture in so many styles, we'll often find the pieces we need right on the showroom floor. The staff is experienced, knowledgeable and always a pleasure to work with. For Your Home is my local design resource." "This store holds many surprises. First, it's huge — much larger than you'd expect. For Your Home carries unique pieces you won't find just anywhere. Mission style, Amish-crafted, rustic pieces, custom Murphy beds, vintage '50s, beachy — all top brands. With so much in stock, my clients can see the products, feel the finishes and come away with all their furnishing needs met. Plus, the friendly staff makes the whole experience a pleasure." Customers agree: For Your Home is California's best kept secret! 5 Stars! Beautiful Store. Quality Furniture. Love this store! We live in San Diego, but stop by every time we are heading back from Santa Barbara or beyond. We have purchased many great pieces here. The staff is helpful and friendly, and they have a nice selection of furniture - all styles, priced reasonably. I dropped in today looking for a small console table - found it - brought it home! Love the service and friendly atmosphere. Lots of different styles to choose from and great prices! - don't miss it! We decided to spring for an Amish dining set. Beautiful, handcrafted pieces made by craftsmen. FYH made ordering easy. They have wood/finish samples that let us make educated choices. Greg and Kevin were very helpful. It arrived 8 weeks later and they're staff delivered and set it up. When people first see our table, they always do the same thing: stroke the surface and go "oooh." We still pop into the store when we're on Main Street. "The people at this store are absolutely dedicated to giving the best service possible. Greg and Sarah were so helpful getting our facility the exact recliner we wanted, then jumped through hoops getting it delivered for a reception. They even called other customers and rescheduled deliveries to make it happen for us." "After shopping for a bedroom set for many months, we found just what we were looking for, but the footboard was an issue. Rod efficiently made arrangements with the manufacturer and solved the problem that had kept us searching for nine long months. No other store had offered to do that! The price for our beautiful new bedroom set was the lowest of ANY other store, even with the custom order. Delivery was carefully arranged to be convenient for us. The delivery drivers were on time, extremely conscientious, and knowledgeable about the furniture. We cannot thank Rod enough for all the great service we were given. If you need furniture, head to For Your Home Furniture in Ventura. "I have a lovely but very small home with a great view of the islands. Marla designed my furnishings to take every advantage of the wonderful vista while efficiently using the living space. My place is beautiful and comfortable and I love it! Thanks, Marla and For Your Home Furnishings!" 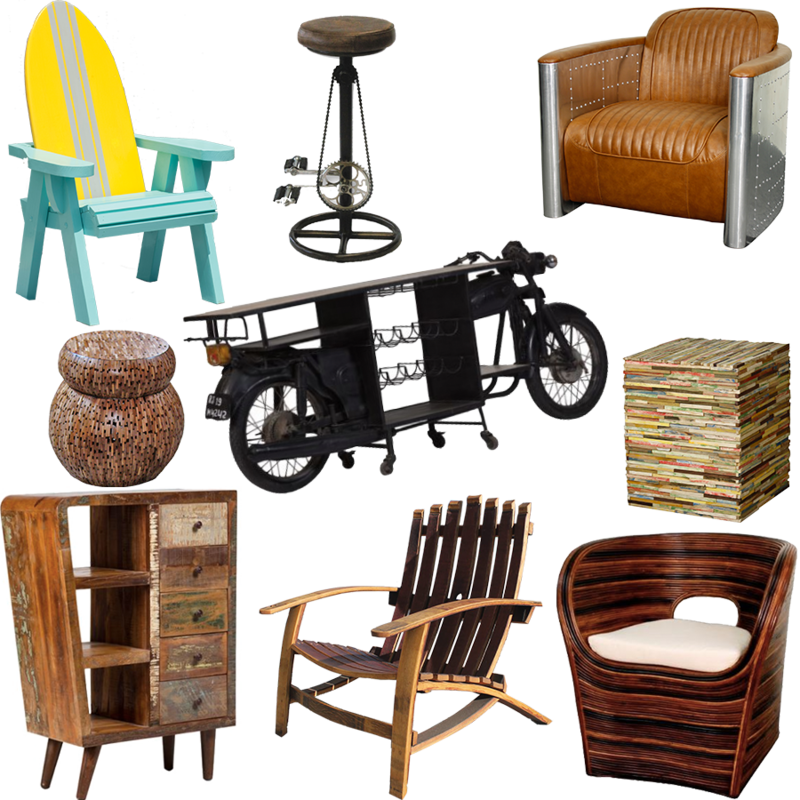 "Such a fun, eclectic furniture store! Great variety and good prices. Better than you will find in Santa Barbara. Just bought my third room of furniture. Nice people to work with, nice delivery drivers." "We found a huge selection of excellent, high quality furniture & ultimately purchased 2 great mattress sets from Greg. Efficient, easy going service makes For Your Home our go-to furniture store." "Great selection of quality furniture and friendly people." We gladly deliver throughout the Central Coast and Southern California. We set up your new furniture and remove any items you don't want. 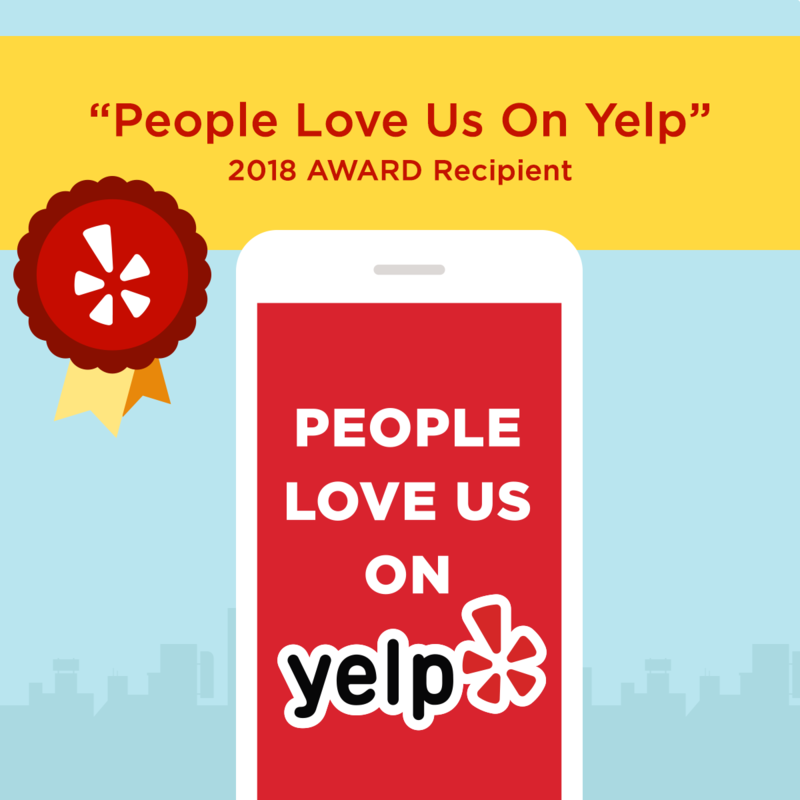 Serving Ventura, Santa Barbara, Oxnard, Oak View, Ojai, Camarillo, Santa Paula, Fillmore, Moorpark and Thousand Oaks for 38 years.